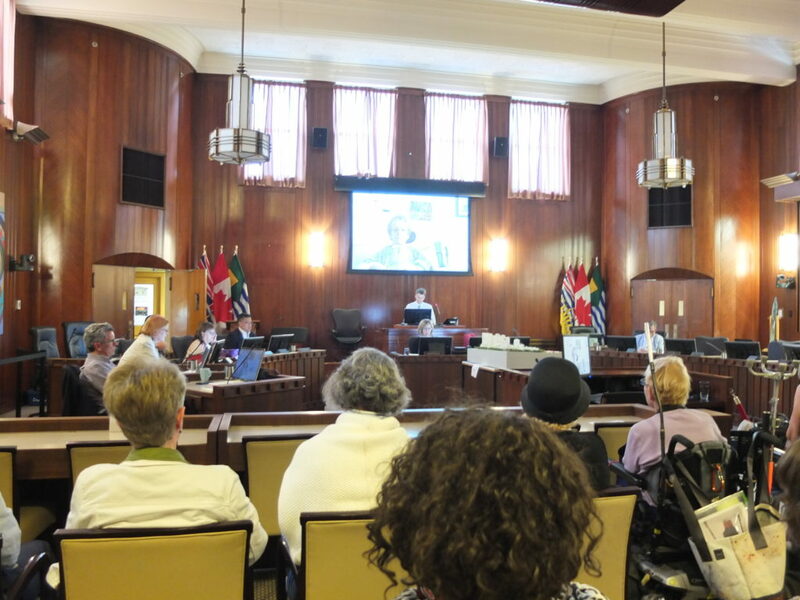 On July 20, 2017, three GPC Residents were able to go and speak at the City of Vancouver’s public hearing on the rezoning application. Several more were heard in a new method – pre-recorded video contribution. This enabled people who would not otherwise be heard, to speak up. Many who live at George Pearson Centre cannot easily attend an hours-long hearing in person. Kudos to the City for allowing a new form of contribution – we hope it continues. Pat, resident of George Pearson Centre, speaks her mind at the Public Hearing. It is unfortunate that there were no GPC residents present at the 2014 Pearson Dogwood Policy Statement hearing at the City. Their voices were missed, and decisions were made that appear to exclude the wishes of the most vulnerable residents. While the independent housing is welcomed by many, those who prefer larger group living similar to the current Pearson model are left without a home on this site. 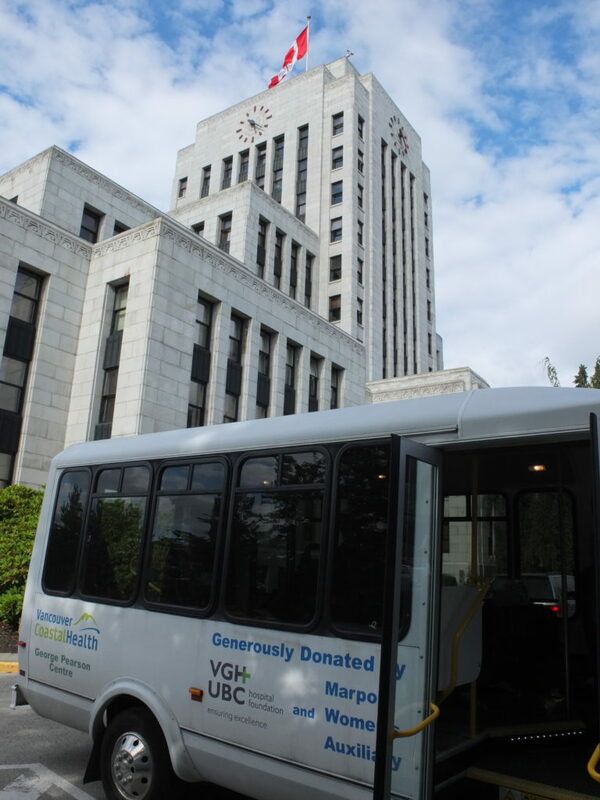 This entry was posted in disability, inspiring, Redevelopment, Resident Council, wheelchairs and tagged cityofvancouver, disability, georgepearsoncentre, Pearson Dogwood, Pearson Dogwood Redevelopment, redevelopment, wheelchairs. Bookmark the permalink.